Wondering if any other Gixxus owners have both ends of the spectrum covered and also own a scooter? I just got a 2008 SYM HD200. 171 cc, carbureted and water-cooled, has 16" wheels (unusually large for a scooter but helps soak up the bumps). Been bringing maintenance up-to-date and learning all about variators and such. It is a blast to ride and have had it up to 80 mph indicated, which is optimistic like most 2-wheelers, but not sure by exactly how much. 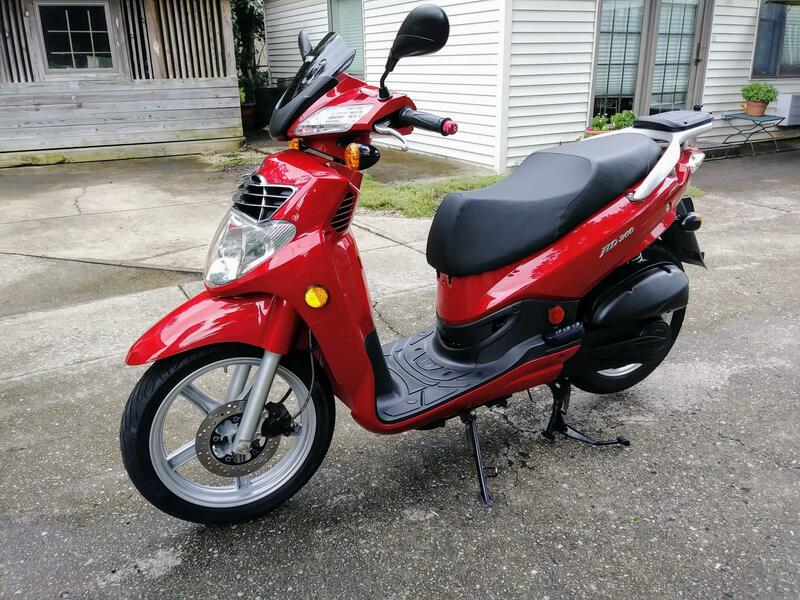 I remember Joe Garfield sold his GSXS when he moved to Hawaii and bought a scooter, but do any of the rest of you have a scooter or small-displacement bike, like a Grom? What do you have and how do you like it? Yes, I know, it makes no sense: I ride a GSXS, I've hit 175 on an R1 on public roads, I've wrecked an FZ1 at the track. Scooters scare the **** out of me. or small-displacement bike, like a Grom? 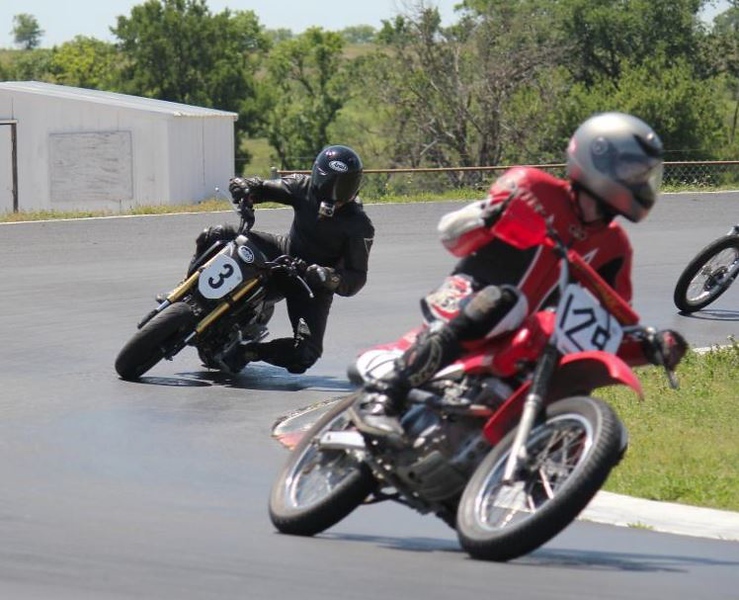 I don't have one, but a friend let me use his for a weekend of racing with the Texas Mini GP. It was a weekend of hilarious stupid fun and now I really want a mini bike. That's me, number 3. Note, I did really well and took home the 1st place trophy for the Grom class. I mean, just because I WAS the Grom class doesn't mean anything, I was first place!!! Slower and Slower and mike d like this. Possibly because there's no power to get out of situation? At 70-75 mph mine is pretty much wrung out, so no reserve to pull away if you needed. It'll do freeways but I probably won't make it a habit. Interesting...I hadn't seen that before. Definitely a head-turner. My main scooter is a Honda PCX 150 - so much more practical than the bike, lots of space under the seat, hooks to hang shopping bags and i don't care where I park it. Yep, I have a 125, max speed of 60 solo, and 60 with a passenger chic (im 150 and they are usually 100lbs) but for my max speeds of 40-45mph roads and all my cities/towns are connected by backroads its great. My gym is 1 mile down road, stores are 1 mile down road, all my parks and local recreation places are like 5 minutes away. Lol Ride around with a milkshake. I can hold a crap ton of food under my seat, so its great for just misc running around. I dont use bike if its that close, it isn't even warmed up by time I get somewhere.